I did not do the best job documenting my fall sabbatical reading. It’s sort of a jumble of confusing Zotero folders, hard copies of articles, bookmarks of blog posts, and screenshots of Tweets (because I am old). 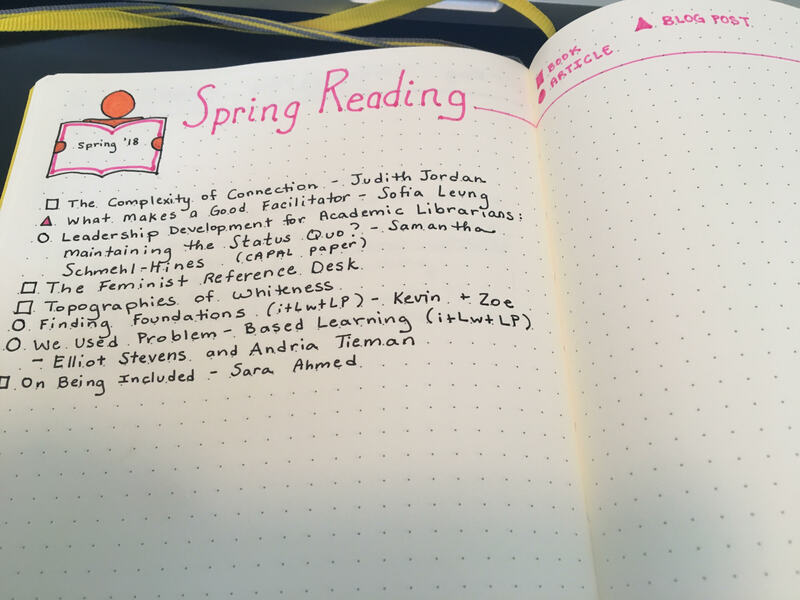 I’m trying to remedy that this spring and realized that best way keep track of my reading is to use the tool that’s basically taken over the running of my professional life: my bullet journal (see above). It’s just the beginning, but I’m already excited about increasing my understanding of relational theory, digging into writing about race and feminism, and learning more about the day-to-day practice of our field. What are you excited about reading this spring? What’s at the top of your TBR list?